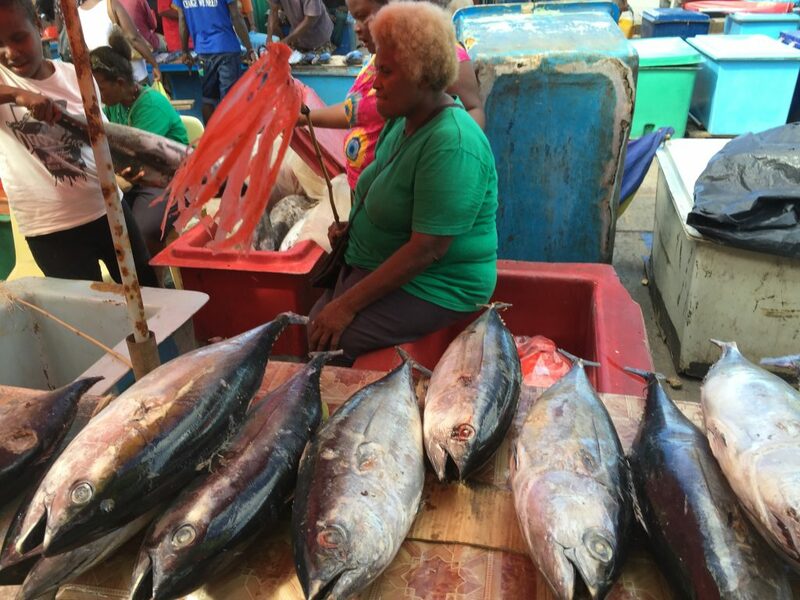 The ultimate goal is to manage for healthy tuna populations that can support both the livelihoods and food security for Pacific Islands fishing communities and a thriving global industry. To achieve both of these outcomes, nations must put politics aside and focus on putting science-based management in place to rebuild tuna populations to a level that can support sustainable harvesting by all users now and for the future. Environmental Defense Fund (EDF) and our fishing partners in the region have identified three important decisions the Commission can make this week to set the course for thriving tuna populations. 1. Improve management and monitoring of longline fishing activities. Monitoring of longline fishing activities in the Western and Central Pacific is extremely limited, currently less than 5% of fishing trips carry human observers. The lack of monitoring prevents transparency in the fishery, creating opportunities for illegal and unreported fishing activities, poor treatment of crew and illegal shark finning. EDF, along with other environmental organizations working in the region, are advocating for the Commission to move towards 100% monitoring of longline fishing activities and a review and eventual strengthening of the measure that manages the movement of fish between fishing vessels, known as transshipment. 2. Advance work plan to achieve sustainable tuna stocks. A work plan to develop harvest strategies for these species was adopted in 2015, but is facing delays in implementation. Our goal is for the Commission to reinvigorate their efforts to translate this plan into practice to ensure sustainability of these key stocks. The harvest strategies approach would allow for more nimble responses to changes in the health of important species and ensure management decisions are driven by shared and agreed upon goals. 3. Support the establishment of specific management goals, known as reference points, for the Southern Albacore tuna fishery. Specifically we hope to see the Commission adopt a “target reference point” (TRP), which is the level of albacore abundance at which fishing countries will work together to maintain over the long-term. This will ensure catch and effort in the fishery are sustainable and take into account the socioeconomic needs and rights of the Pacific Islands. We will be actively engaged at the meeting this week, watching for the Commission members to make the right decisions for tuna management and looking forward to continued engagement with stakeholders in the region. There’s too much at stake for us to not act now. This entry was posted in Global Fisheries, International, Policy and tagged Food Security, Pacific Islands. fisheries policy, tuna, WCPFC. Bookmark the permalink. Both comments and trackbacks are currently closed.